The new year is upon us and the Quinnipiac Bobcats have started the second half of the season. After beating Boston College 3-1 in the opener of the Three Rivers Classic, the Bobcats had a very poor effort in the championship game against Robert Morris losing 5-2. This team has been very Jekyll and Hyde this season and you don't know what you are going to get from them game to game. Getting to a fifth consecutive NCAA tournament is starting to slip away and may require winning the conference tournament. Now let's take a look at what some of the future Quinnipiac Bobcats have been doing with their respective junior teams or prep school teams. Canmore Eagles 1996 forward Matt Forchuk had three in two wins this past weekend. 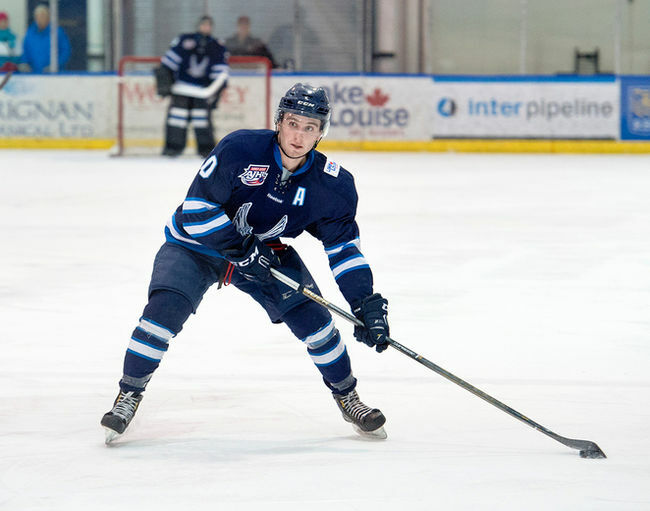 Forchuk is the leader in points in the Alberta Junior Hockey League with 56 (19 goals and 37 assists). He leads teammate Logan Ferguson by one point. 27 of Forchuk's points have come by way of the power play with 8 goals and 19 assists. I'd expect he will be someone who will be a staple on the Bobcats power play in the future. He will be heading to Hamden in the fall and should be expected to be someone that can contribute immediately for the Bobcats up front. Fargo Force (USHL) 1997 forward Odeen Tufto had six points in his last three games with a goal and five assists. He has points in seven of his last eight games with three of the games being the multi point variety. In 28 games played he has 21 points (5 goals and 16 assists). He is fourth on the team in scoring and was one the Force's best forwards in the month of December. He is another forward that is coming into Hamden in the fall of 2017 who should be expected to contribute. 1999 goaltender Keith Petruzzelli ended 2016 on a high note in a very good performance against the US National Team. He had 26 saves on 27 shots in the victory in a 3-1 win for the Muskegon Lumberjacks. In 18 games played this season he is 10-6 with a 2.55 goals against average and .912 save percentage. I had him pegged for the 2018-2019 season after one more season of junior hockey but with the sudden departure of junior third string goaltender, Sean Lawrence its very possible he will be brought to Hamden in for the fall of 2017 as a true freshman should they not pick up another goaltender commitment for next fall and keep Petruzzelli back in juniors for one more year of development. Topeka RoadRunners (NAHL) 1998 forward John DeRoche had a four assist weekend in three games played against Wichita Falls. The Lynnfield, Massachusetts native has been averaging over a point per game since moving to the NAHL after a trade by Cedar Rapids of the USHL. In 14 games played with Topeka he has 15 points (4 goals and 11 assists). I have him projected as a freshman for the 2018-2019 season. 1998 forward Khristian Acosta has had a goal in two of his last three games played for the Wilkes-Barre/Scranton Knights. In 24 games played he leads the Knights in scoring with 24 points (9 goals and 15 assists). He is a player I have projected for the fall of 2017 unless the coaching staff pushes him back a season to get more seasoning in juniors and recruits someone else for next season. 1999 forward Corey Clifton is off to a good start for his high school team, Christian Brothers Academy. In ten games played he has five goals and five assists which is good for second on the team in scoring. 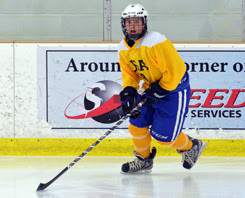 He is also playing for the U18 North Jersey Avalanche in the Tier I elite hockey league. He is someone I have pegged for the 2019-2020 season which gives him two additional seasons of development in the junior ranks. 2002 forward Jacob Quillan has a nine game point streak for the Steele Subaru Major Midgets as he picked up two more assists to close out 2016. In 25 games played he has 19 points (6 goals and 13 assists) which is impressive for a player who is the youngest player on the teams roster.